The “Trump bump” seems to be turning into a light tap for the U.S. Dollar. It has lost all of its post-election gain, and is starting 2018 off on the wrong foot. The dollar is trading at the lowest level in 3 years, and that follows a whopping 10% decline in 2017. Additionally, a heightened amount of turmoil that has recently surrounded Trump has contributed to what seems like a cloudy future for the dollar. The recent tax cuts are expected to bring growth in the near-term. However, while many companies have stated that they would increase hiring on the back of the cuts, a number of CEOs have made it clear that they won’t be following suit. Instead, they may simply hold onto the extra cash. That doesn’t bode well for long-term economic growth, and experts are starting to see through the short-term impact for the economy. This rather dark outlook by economists is further driving the dollar down. People are accepting the idea that tax cuts are boosting near-term growth but won’t change the long-term growth potential of the U.S. economy. If middle class Americans start spending money, they are likely to spend it on goods made overseas. That increases imports rather than exports, causing the dollar to tumble even more. If this happens, expect to see further weakening over the next six months. “Trump’s new soap opera story,” isn’t a main driver for the dollar, says Peter Boockvar, chief market analyst at The Lindsey Group, in a report. When you compare the U.S. and Europe, so far the euro is winning the battle in 2018. This stems from a 13% export trade surplus and a host of other good news. Investors are leaning towards a recovery, and the stronger competition is expected to weaken the dollar. The U.S. Government isn’t doing itself any favors, either. With an anticipated shutdown over DACA legislation disagreements about immigration policy, the dollar is expected to suffer further. 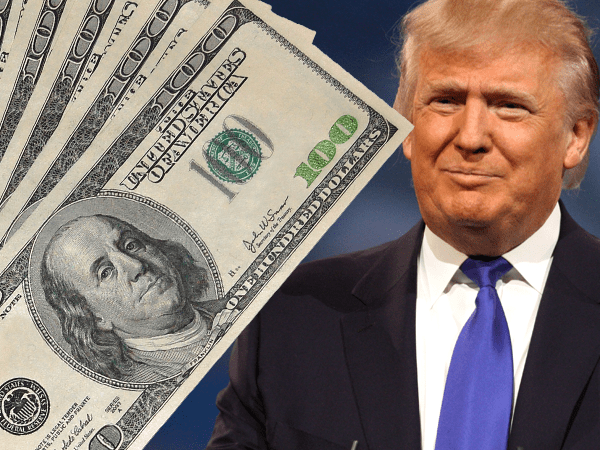 This “dollar doom” is further confirmed by economic historians like Hugo Salinas Price, who thinks the U.S. dollar will simply start to become less relevant. He thinks that the Eurasian countries will begin to take the lead in transforming the global currency stage. In Western nations, there is a bad habit of turning a blind eye to the fact new global trade policies don’t feature the dollar like they used to. Russia rubles, Chinese yuan, and other currencies are starting to take global trade’s center stage. A fiat currency is unlikely to be replaced by another fiat currency. However, these global trading currency upstarts are all backed by gold in the Shanghai Exchange to preserve valuation. Maybe the time for the U.S. dollar has finally come? Will the weakening U.S. dollar completely collapse in 2018? It’s hard to tell whether or not this will happen this year. The continued and accelerated decline of the dollar could also cause inflation to go up sharply. No one wants either to happen. Of course, the developing potential breakdown in the U.S. Dollar Index may well serve as a tailwind for precious metals in their attempted flight higher. If the DXY cannot hold or reclaim its recent lows, it runs the risk of potentially meaningful further losses. If so, there’s no guarantee, but such a development would presumably aid in the precious metals’ breakout attempt. Precious metals are historically proven to appreciate in value whenever the dollar falls. Not to mention that, historically, precious metal prices tend to grow significantly amidst market declines, crashes, and recessions as well. Plus, a new floor for gold prices, increased global demand, and gold growth in spite of cryptocurrency hype all contribute to the possibility for solid gains in 2018. Precious metals like gold also offer you protection against adverse events like the real possibility of the dollar crashing. When the shoe finally drops, reactive buyers begin snatching up metals fast, which instantly drives up prices. The best move is to get in ahead of that. So don’t wait for the dollar to crash before protecting your wealth with precious metals. Act now while prices are still low and opportunities for protection are ripe.